Woodworking is both a trade and a hobby that many people around the world enjoy. However, if you don’t have the right tools, you might find that getting the end result you’re seeking is challenging. 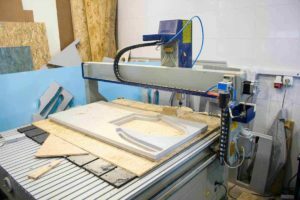 Wood planers are used to produce boards of wood that have a custom thickness, but you can quickly get overwhelmed if you don’t know what you’re looking for. 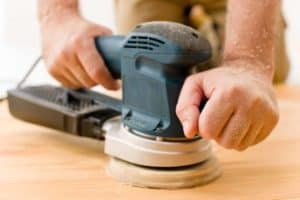 You can use this guide to help you find the best wood planer for you, and to find out what you should look for when buying one. How Do You Use a Planer? How Does a Planer Work? There are a handful of reasons why we selected the WEN 6530 Hand Planer as the first product to review. It has excellent reviews, an incredible (and almost unbeatable price tag) and is set as an Amazon Choice. 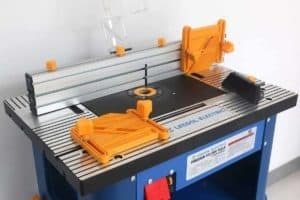 Let’s take a look at what makes this power tool so unique and why you should include it on your shortlist when looking at wood planers to buy. 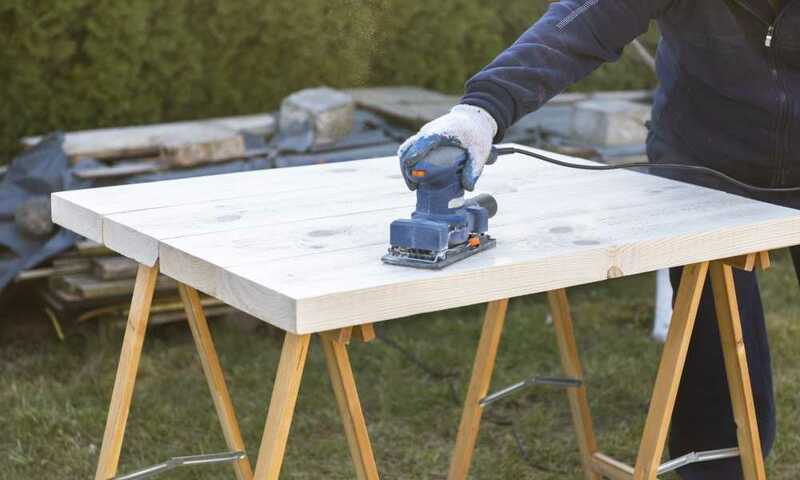 The WEN 6530 Hand Planer was designed with 16 positive stops that provide you with a variety of cutting depths, ensuring you can find one that’s perfect for the project you’re working on. Also, the rabbeting guide can get adjusted up to 5/16 inch in size when creating rabbets. It was designed with a built-in fence to ensure straight cuts and proves useful when planning wooden boards, trims and the edges of doors. Additionally, the integrated adjustable wrench makes for convenient blade changes. The 6.5 motor allows for 34,000 cuts per minute, and the included dust bag and kickstand are useful accessories that can help keep your work area safe, efficient and clean. Overall, this wood planer is worth buying. The high-powered motor, lightweight and easy-to-carry design, convenience and adjustable settings mean you get what you’re paying for. The major selling point for us was the affordability and included dust bag and kickstand. We found that for the price, it’s one of the most inclusive planers on the market. When comparing the planer and looking over all directions, we found that the manual was a bit convoluted and challenging to understand. Also, the dust bag was a bit on the small side which was fine for smaller projects but required frequent emptying with more substantial cuts. We also found that the kickstand was challenging to move with. When tackling woodworking as a hobbyist, it’s best to have a powerful tool that provides a healthy mix of RMP, horsepower and amperage, so you get the result that you’re looking for. With the DeWalt DW734, you get just that. The price tag marks it as a certain investment, though the professional results it provides makes it a must-buy for individuals looking for something that can make it through continuous use. There are plenty of product features that make this planer worth the cost. Acting as your best friend in the workshop, it provides extra-long feeding tables and accurate depth adjustment. It weighs just over 80 pounds and can cut through large pieces of wood with its 15-amp motor and 30,000 RPM. The strength of the motor combined with the high level of RPM and the cutter-head sharpness help the DeWalt DW734 provide an extra-beautiful finish. Typically, it takes industrial machines to out-do the performance of this power tool. Additionally, it has disposable blades that help with streamlining work and a high cut ratio of 96 cuts per inch. Powerful 15.0 Amp, 20,000 RPM motor handles larger, deeper cuts in hardwoods. Having a tool such as the DeWalt DW734 was a great addition to the shop. We were able to save our industrial strength planers for contract-specific work, but still have something powerful enough to complete our hobby projects the way we like them. The 30,000 RPM provided a beautiful finish that was similar to industrial models that we used, and the machine itself was effortless to clean and has excellent dust collection. We expected this power tool to be a production-ready, heavy-duty tool because of the high price tag, but we quickly found out that it wasn’t. While we do recommend it for hobbyists, it’s just not the best for industrial work. Additionally, we found that it had difficulties dealing with harder wood such as oak. Can potentially blow the power breaker every 10-15 minutes when working with the hardest woods. This is our third pick for the best wood planer. We chose this particular model, made by well-known brand Bosch, because it produces good results, has a powerful motor and is comfortable and convenient to use. 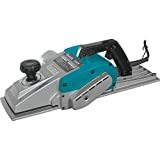 The brand name itself has a solid reputation, and consumer reviews and an affordable price make it a viable option for those looking to add a wood planer to their power tool collection. Let’s take a look at what sets it apart from others. The low cost of the Bosch PL2632K would lead you to believe that it shouldn’t be used for professional use but it’s designed for those of you looking for a planer to assist with earning an income from your woodworking. The ambidextrous lock-off release button was a major selling point for us, and the first tool on this list to have one. It’s also powered with a 6.5-amp motor with 16,500 RPM. Portability and a lightweight build make it easy to carry the planer from job to job, and it has a two-blade system that’s versatile and allows you to change it up to use with larger, high-speed blades. The planer provides a smooth finish with all types of wood that it cuts. 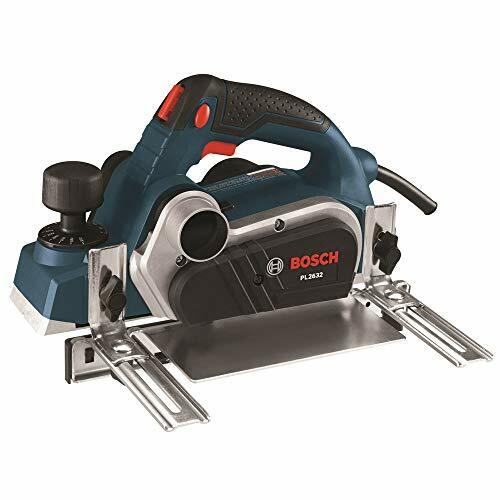 POWER: The Bosch PL2632K Planer features a 6.5 amp rating and 16,500 RPM speed for fast stock removal and smooth finish in soft and hard woods. Weighting only 6.3 lbs., the planer provides power and efficiency in a lightweight tool. CONVENIENT: The PL2632K Planer is the first-ever power tool to have ambidextrous lock-off release button to help avoid accidental starts plus a lock-on button for extended operation. ACCURACY: The aluminum front and rear shoes are precision-machined together for accuracy, and the tool has a machined groove for chamfering. VERSATILITY: The versatile two-blade system can be converted for use with large high-speed steel blades (optional accessories required). The dual-mount guide fence can be mounted on either side of tool, and its plastic overshoe prevents marring of door or workpiece face. Safety and efficiency are taken into consideration with this model. The safety buttons are clear and easy to use, and the ambidextrous lock-off release adds to the precautionary measures that are in place. We also really enjoyed the smooth performance of the Bosch PL2632K model, and its high-powered performance that made it ideal to use for professional projects. While this model was designed to be portable, we found that the 15-pound weight was too heavy for a mobile model. Additionally, the touching aluminum was soft, and the included model fence appeared to be flimsier than some of the other models we compared it against. Moving on to our fourth on the list, we have the Hitachi P20ST Portable Handheld Planer. We decided to bring this into the mix because of its versatility and ease of use for woodworkers such as yourself. It’s designed for hobbyists and for using with sheets or planks of lighter wood. One of the greatest features of this particular model is how lightweight it is. The Hitachi P20ST weighs in at 5.5 pounds, making it extremely convenient and easy to carry around. It has a 5-amp motor for the corded model but does come in a cordless model as well for those who prefer it. When purchasing, you get the planer, dust bag and a vacuum attachment. It uses disposable knives, has a 17,000 RPM and a maximum cutting depth of 1/16 inch. On top of the company’s excellent reputation, the power tool is priced well and built to last. The price was a key selling point with this Hitachi model, along with how lightweight it is. In comparison to the other portable planers on this list, there is a significant weight difference between the two. On top of that, the built-in kickstand is a welcomed convenience, and the resharpenable knives are both cost-effective and efficient. Unfortunately, this particular model doesn’t come full of features, and we found that its lack of a self-leveling base was a significant downfall. While it does have many pros, it’s not a product that we feel works best for woodworkers who need more than just the necessary cutting requirements. The price point is right, but it’s just not recommended for advanced woodworkers. We’ve made it through. We’re on the final model in our wood planer list, and we made sure it was a good one. To finish things off, we wanted to look at another handheld model, and this model is nearly flawless. Could the Makita 1806B be our best of the best? Let’s find out. The Makita 1806B has a powerful 10.9-amp motor and 15,000 RPM. It has a maximum cutting depth of 1/16-inch and a maximum width of 6 ¾ inches. In comparison to other handheld models, the Makita is on the heavier side and weighs in at just under 20 pounds. Additionally, it was designed correctly with ergonomic handles to assist with user fatigue and help with safety and performance. Depth adjustment knobs are easy to use, and the owner’s manual provides all the information needed to get the most out of your planer. The included high-speed steel blades can be re-sharpened so you can use them over and over again. There are very few things that we didn’t like when going over this model and comparing it with our other wood planers. When using it, it was exceptionally comfortable and there was minimal vibration which is a testament to the robust design of the planer. Also, the safety and comfort features were two of our favorite additions to the Makita, and its user-friendly setup was something we couldn’t ignore. We believe that power tools are an investment, especially when you’re earning an income off of what you’re using the tools for. However, the price point for the Makita was a little steep for our liking. Though the machine performs exceptionally well, it was hard to justify spending that amount of money on a portable planer. We also didn’t like the weight and found that even with its comfortable design, fatigue set in after carrying it around for extended periods. 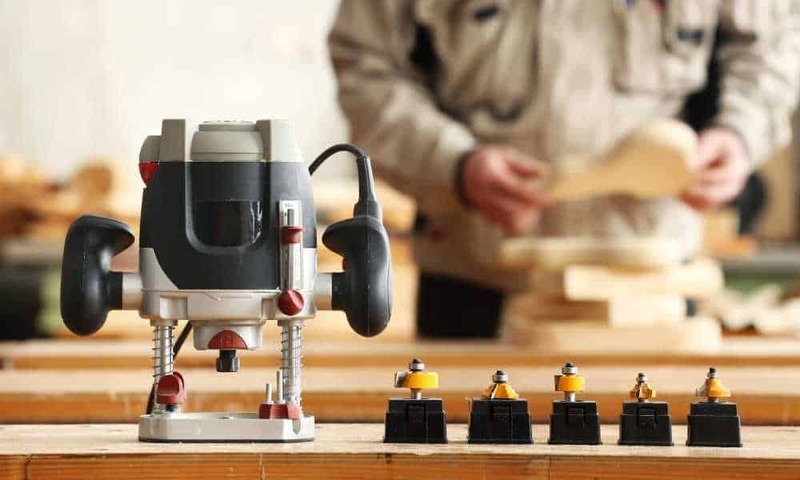 Now that you’ve looked at the models that made it onto our best wood planer list, it’s time to take a look at what you should look for when purchasing a model. When buying your first planer, you might find yourself a little overwhelmed, but you can use this buyer’s guide to break down some essential elements that you should look for. If you’re going to invest your hard-earned money in a power tool, you should make sure that you’re getting your money’s worth and get something that’s going to meet your specific needs. There’s no right or wrong answer when it comes to the type of planer that you need, and if you aren’t familiar with the terminology, it might take trying a few out before you know just what you require. 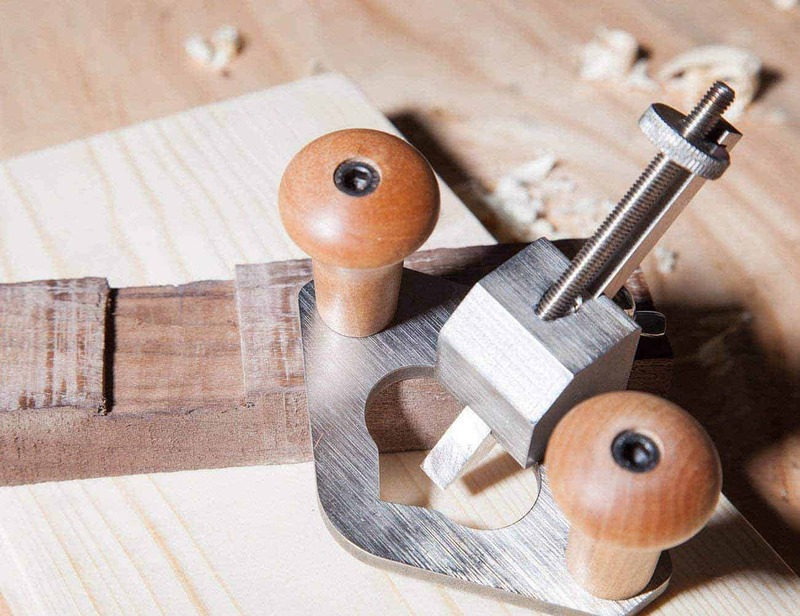 If you are familiar with woodworking terminology, consider whether or not the project you’re working on involves the function of a jointer, or if you just need a thicknesser. If you require the help of a jointer, it’s best to purchase a model that has both features. Otherwise, determining whether or not you need your planer to be portable should help you decide. There are a few things to take into consideration when mulling over the motor power of your planer. Induction motors are typically used in planers that are permanently installed and are designed for mostly industrial use, so they are more durable, sturdy and have a higher voltage than most of their universal counterparts. Universal motors are typically found in portable planers and are more lightweight. It’s best to thoroughly consider the type of work that you’re going to be doing. If it’s heavy-duty, you should look for something with high power and an induction motor. The model of wood planer that you purchase should have depth stops indicated on it so you can adjust your machine to cut the piece of wood to your desired depth without having to measure consistently. All models have a thickness capacity, so it’s a good idea to think about those numbers when you’re purchasing your power tool. 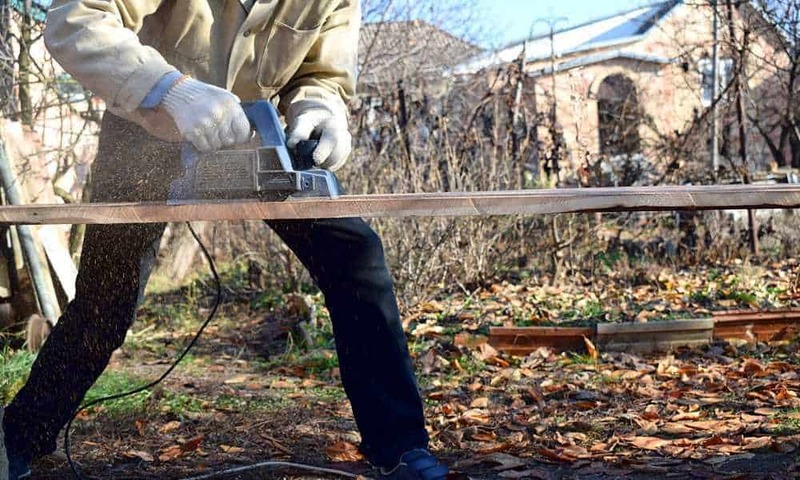 As a rough idea, portable and smaller planers should work well with your more modest projects, whereas industrial and professional planers should be used when working with large amounts of wood or with rougher wood. Typically, the cutter on your planer has between two and five blades. The faster your cutterhead and the more knives that you have, the smoother your cut is going to be. When you’re cutting harder woods or large amounts, it’s a good idea to invest in a planer with a high RPM and a minimum of three blades. Being comfortable with your planer is essential, especially when it comes to safety, though there is no set way to determine comfort. The most important thing is to ensure you’re comfortable with using the machine. 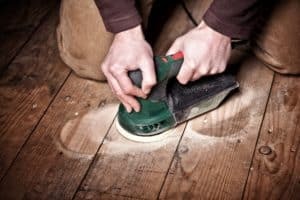 It’s vital that you don’t attempt to operate a wood planer without understanding how they work and considering all precautionary measures. Understanding how to properly use a wood planer will improve the production quality of your woodworking projects. There are plenty of tutorials and videos available on YouTube to help you along the way. We found a great video to help you with setting up and maintaining your planer. It also covers some other useful information to help you further. The way in which a wood planer works depends significantly on the type of planer that you use. Benchtop models typically have knives towards the base of the power tool and a cutting surface. Each planer should have cutting depth knobs that you can adjust to set the depth that you’d like to cut at. Once you’ve correctly set up your planer, you place your board on a flat surface and apply some pressure to push it towards the knives. The RPM and the motor work to spin the blades, which is how the planer cuts your wood and provides a smooth finish. 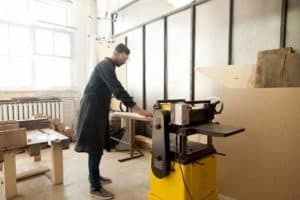 Wood planers, regardless of whether they are handheld or benchtop planers, are designed to slice a thin layer of wood from a plank, wooden sheet or wooden board. Each model has adjustable cut depths that enable you to choose the thickness of the piece of wood you want to cut off. These power tools are not designed to replace your table saw, but their smooth finishes provide a more professional appearance. Under most circumstances, sandpaper isn’t required after the planer cuts the piece of wood. Wood planers are woodworking tools that are typically made up of between two and five blades that get used to slice pieces of wood from boards, sheets and even planks. The planer works alongside the depth cut that you set and comes in both benchtop models and portable handheld models. You might not realize it, but there are a lot of differences between a jointer and a planer, and each machine has its own surface operations. Jointers work to flatten a surface or straighten and square an edge, while planers target the thickness of the wood. Deciding on which one you need can be determined by understanding how each one works and what they do. We’ve included an informative YouTube video for you to learn more about the differences. All of the planers on our list deserve to be there for one reason or another, and after putting them through the ringer, we were able to pick out our top choice. We compared consumer reviews, pricing, performance, precision, depth and settings adjustment and took a look at safety features to determine what our pick of the litter is. 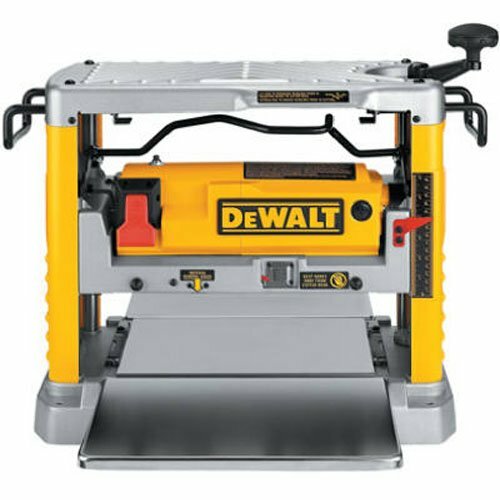 For us, the DeWalt DW734 15 Amp 12-1/2 Inch Benchtop Planer takes the cake. It comes from a reputable brand, has solid reviews and performs fantastically for woodworkers who are cutting wood as a hobby or as a part of their trade. 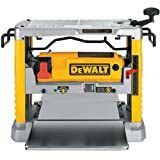 The cost of the DeWalt planer is mid-range due to its powerful performance, so we have included a more affordable alternative for woodworkers who aren’t looking to make such an investment. 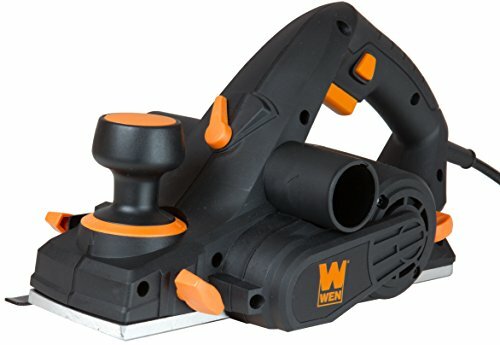 The WEN 6530 6-Amp Electric Hand Planer is a suitable alternative for those just looking for a planer to add to their home collection and who don’t require a lot of power for heavy-duty cutting.